You may have experienced the extreme pain that accompanies an infected tooth, and maybe even have heard of the dreaded root canal. But a bad tooth infection doesn’t mean the tooth’s demise. Very often, undergoing endodontics will help relieve your pain and keep your dentition intact. According to the American Association of Endodontists, less than 3 percent of dentists in the United States are these tooth-saving specialists. While dentists are trained in the basics of root canals, most will refer a patient to an endodontist for treatment of an infected tooth, especially when extreme pain and swelling is present. Having advanced training in this specialty involves at least 2 extra years of study and clinical hours beyond the conventional 4 years of dental school. After completion, this specialist is uniquely qualified to best treat an infected tooth and alleviate pain. A practicing endodontist will, on average, do 25 or more root canals or other procedures related to a tooth infection per week. This schedule makes them efficient and flexible since they do not perform other routine dental procedures. Additionally, most will see patients on the same or next day, and many have Saturday and evening hours. 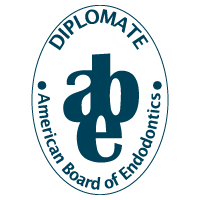 This expert care is why you may be referred to an endodontist. They regularly attend continuing education classes and seminars to stay abreast of the latest technology for diagnosis and treatment. This includes the use of microscopes, lasers, ultrasonic instruments and imaging tools that are digital, 3D and fiber optic. Using these advanced technologies helps ensure that the tooth or teeth can be saved and function successfully in the future. The most common referral to an endodontist is for a root canal: a procedure that cleans the infected pulp area, relieving pain and saving the tooth. Most infections in the pulp of the tooth are caused by advanced decay or a deep cavity that was prepped and treated in proximity to the pulp. Endodontics also involves re-treatment of a root canal that didn’t clear up the initial infection, or a surgical procedure at the tip of the root. Traumatic injury to teeth can also cause tooth pulp to become necrotic and require a root canal to retain the tooth or teeth. Endodontists are great at saving teeth, however occasionally a tooth or teeth may have complications beyond their abilities. The good news is that these specialists possess the skills and advanced diagnostic tools to determine the best treatment for you. This could mean a referral for an extraction and tooth replacement to restore your smile, but only after all treatment options are explored. Doing everything to save your tooth is an endodontist’s first priority because the general belief is your natural tooth is best! Keep your mouth healthy by practicing optimal home care, like brushing and flossing and regular dental visits. However, even with proper oral hygiene, problems and infections can still occur. During treatment, brushing with a toothpaste for sensitivity can be helpful. 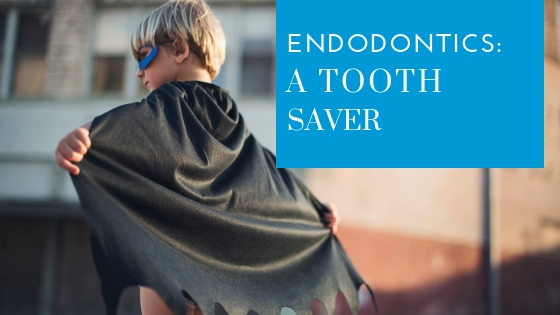 Relieving your pain and maintaining your smile is your dentist’s first priority, and he or she will not hesitate to refer you to the champion of tooth saving: the endodontist! Contact our team to schedule a consultation with Dr. Shawn Velez, a Board-Certified Endodonist. Previous StoryRoot Canal vs. Extraction: Which Is Right For You?